This blog post was originally shared on the Cimarron Middle School Blog. This blog is great because it is written by teachers for teachers and originates from Cimarron Middle School in Edmond, Oklahoma. What a great idea for including staff in the leadership of a building! One of the things that gets a bad rap in education is social media. Yes there are issues and yes some people post terrible things. Every advance in technology comes with both good and bad things. The problem is that we make a collective rush to judgement that all social media in education is bad. This is not true and I want to help you understand some of the benefits of using social media as part of the education process. Social media can connect classrooms to experts all over the world. Are you teaching an international language? Use Twitter and Voxer to connect with native speakers and have authentic conversations. Your students can use Twitter to post questions in the language you are studying. Every student can share – not just the one who raises his/her hand. Every student has a voice. Use Voxer to do the same thing, but with this platform students can speak the language and hear what others have to say. This can create an environment with very active participation from the students. Do you teach history? Reach out to Civil War park rangers or historians who are known for their research on a particular piece of history. Use Twitter and Voxer in the same way – give students the opportunity to ask questions and hear the response. What about finding a history teacher in England and getting their input on the Revolutionary War?? Maybe you are teaching a particular book in English class, have students Tweet the book from a particular character’s point of view. Math class? Have students take pictures of their homework to share with others and ask questions. Search out astronomers for physics class, politicians for government – knock down the four physical walls and bring the world into your classroom. If you are a school or district administrator you can use social media to amplify the voice of your school. We have all had situations where the most amazing things happen – this is a great platform to share those things! Some of the social media hashtags that are used in Oklahoma: #middelmomentum and #cpsreds. These ties all of those social media shares into one visible, living, breathing stream on the internet. The things that are shared here can be viewed by the community and the state. Who knows – there may be a really great idea or share that sparks some wild and crazy learning! In all of these examples using social media responsibly is the key, something we want our students to do. How do they learn responsibility if they are not able to practice this? How can you, as the teacher, correct them when they are wrong if you don’t use social media for learning? How can we break the cycle that all social media is bad no matter what? By creating a safe way to use social media in the classroom. Model a Twitter Chat for your students, let them hear your Voxer conversation about education, let them see you using Facebook or Pinterest to get ideas for your classroom. There are things on social media that we want to protect our students from, let’s teach them how to avoid those situations. We can educate parents as well, show them how to use social media in a way that is supportive to the learning environment. Pay attention to what the students are doing and create a safe way for them to learn and interact safely. 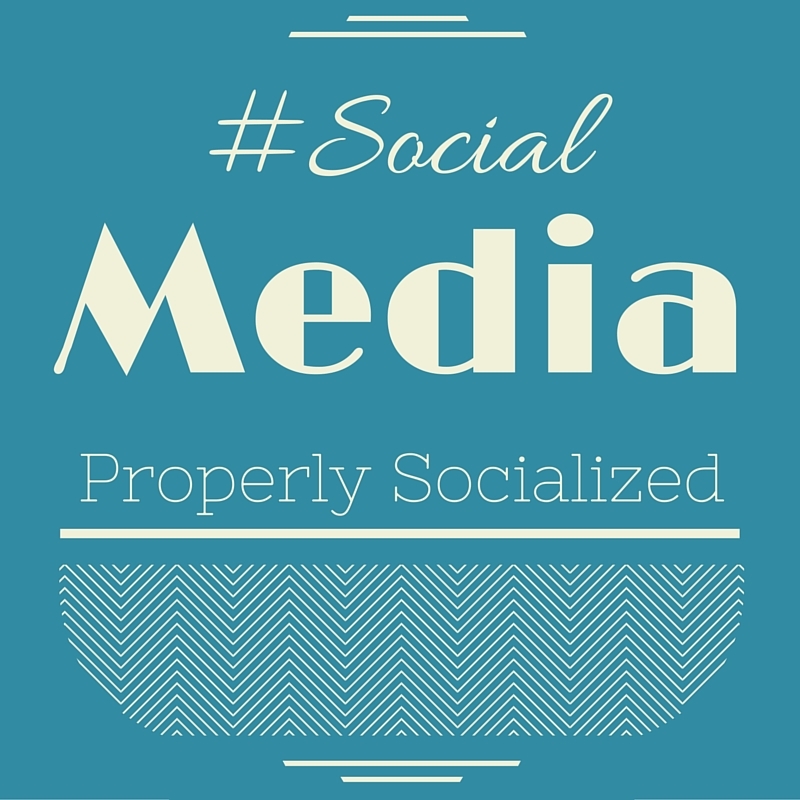 One Response to "Properly Socialized Social Media"